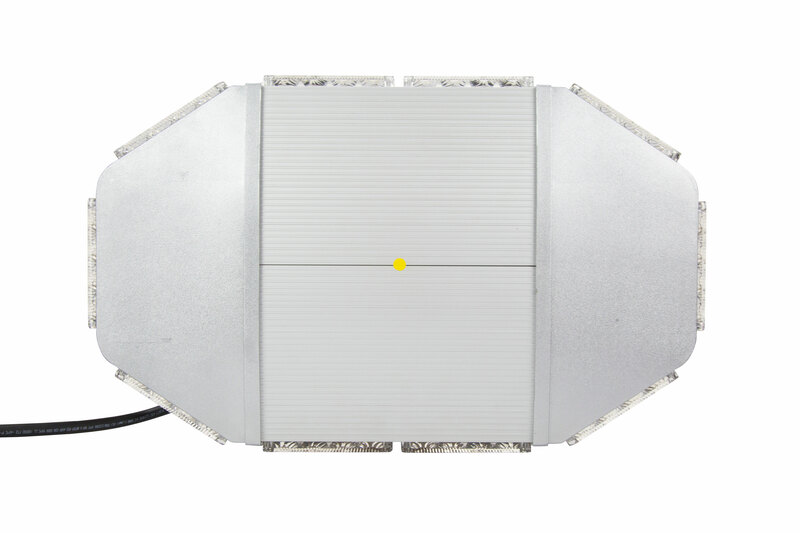 Larson Electronics, a leading manufacturer of high grade lighting equipment, has announced the release of a 32 watt mini LED strobe light equipped with a sixteen foot cord terminated in a general area cord cap for connection to 120 to 240 volts AC power sources. Class 1 strobe lights are typically ideal for emergency vehicles such as police, fire and ambulance. 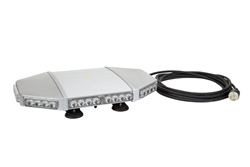 The 9200-LED-S-M-1227 mini LED strobe light bar from Larson Electronics offers high signal performance in a compact design that can operate on any voltage ranging from 120 to 240 volts AC. This compact mini strobe light encloses thirty-two, 1 watt amber LEDs within a polycarbonate lens enclosure for durability and protection from the elements. 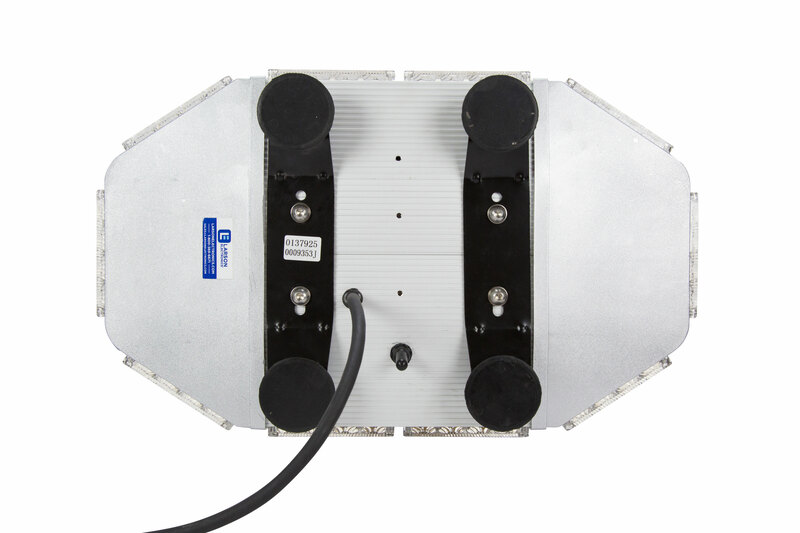 Two 50 pound grip magnets are integrated with suction cups, providing operators with the ability to mount the unit on a smooth surface such as glass, as well as metallic surfaces such as vehicle roofs and equipment railings. This mounting combination allows users to expand the possibilities of mounting surfaces beyond the standard ferrous metal. The magnets on this unit are also protected by felt to prevent the possibility of damaging a surface. This beacon has a low 2.7 amp draw, produces a highly visible ten joules flash per strobe, and is rated Class 1 signifying the brightest intensity possible. A sixteen foot cord ending in a standard straight blade plug provides easy connection to standard plug sockets. An inline switch allows operators to turn the unit on and off without having to disconnect from the socket. 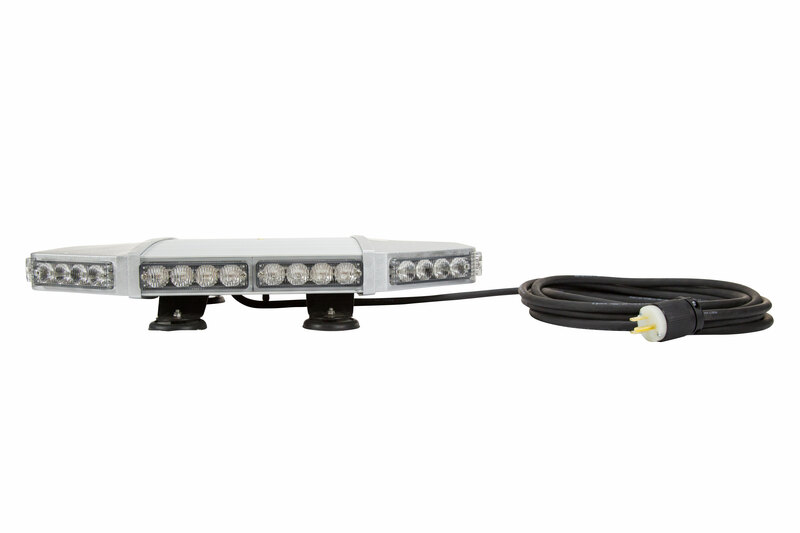 This mini LED strobe light bar is typically used for security vehicles, utility trucks, and emergency service vehicles. Larson Electronics specializes in portable industrial lighting equipment, high mast light towers, explosion proof light fixtures, power distribution systems, LED lighting and more. To view the company’s wide range of products, visit them on the web at Larsonelectronics.com or call 1-800-369-6671 for more information.